By Rail: Kathgodam Railway station, at 70 kms away is the nearest railhead. By Road: Drive onto NH 24, turn left at old Moradabad pass, Continue on NH 24 and drive to Major District Road. Get on to NH 87 to reach the destination. 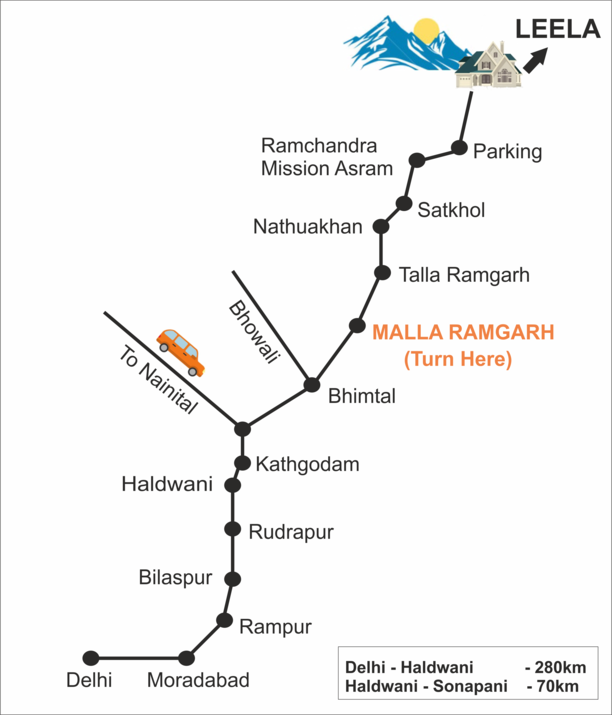 Once you reach Haldwani please call us so that we can arrange to receive you accordingly.